Patient after subtotal colectomy with ileosigmoid anastomosis. 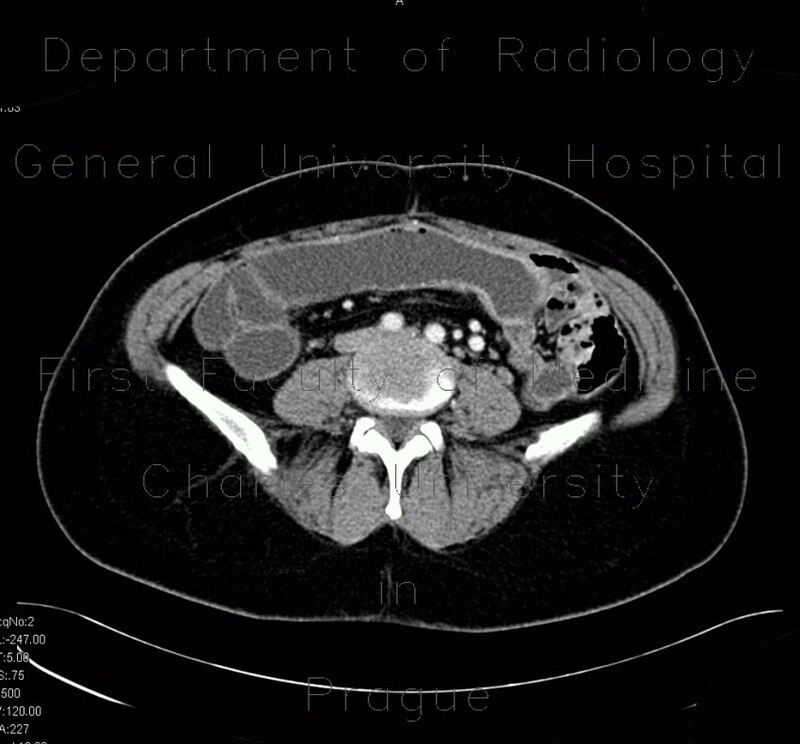 CT shows wide anastomosis and inflammatory changes of termial ileum. Note also chronic postinflammatory changes of the rectal wall, which has a hypodense stripe of fatty infiltration and widened perirectal space due to increased amount of perirectal fat.